Floral Facts | Royer's flowers and gifts - Flowers, Plants and Gifts with same day delivery for all occasions. If you've been wondering how to make your arrangements last longer, which color rose is just right for that special occasion, or how to design your own breathtaking centerpiece, we can help! 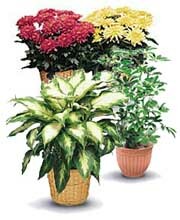 Click on the links for information and tips that will expand your use and appreciation of flowers.